Robey (daughter) and Jack 'Johnny' Carter, Palm Beach Legend. Picture by A J Guesdon. The motion was passed by all councillors except Vincent De Luca, who opposed it, and Natalie Warren, who was absent at the time. Councillor De Luca later said that the restructure would increase the CEO's deputies from three to six and cost ratepayers over $2 million a year. Mr Brownlee was also on a salary package of $500,000 per year, he said. “To now double the next layer of bureaucracy to six directors with each on a salary range of $300,000 to nearly $400,000 is completely out of step with community expectations," Councillor De Luca OAM said in a statement. "When Michael Regan and his political party, Your Northern Beaches proposed the forced merger of Pittwater, Manly and Warringah Councils, they argued that administrations would be streamlined, bureaucracy cut and rates reduced. We have seen a huge increase in expenditure on the bureaucracy, a 60% increase in rates in some suburbs and people and particularly in the old Pittwater Council area are crying out that their services have been cut and infrastructure neglected.". Residents throughout the Northern Beaches will have our garbage bins replaced next July, following another motion passed unanimously in a closed session at the end of Tuesday’s council meeting. The replacement cost will be $12,044,130 (excluding GST) for the new bins - which contain 20 per cent recycled material - provided by SULO MGB Australia Pty Ltd. The council noted in its minutes that this “is the lowest cost overall option due to the age and condition of the existing bin stock, representing a saving of over $1.155M in today’s terms”. 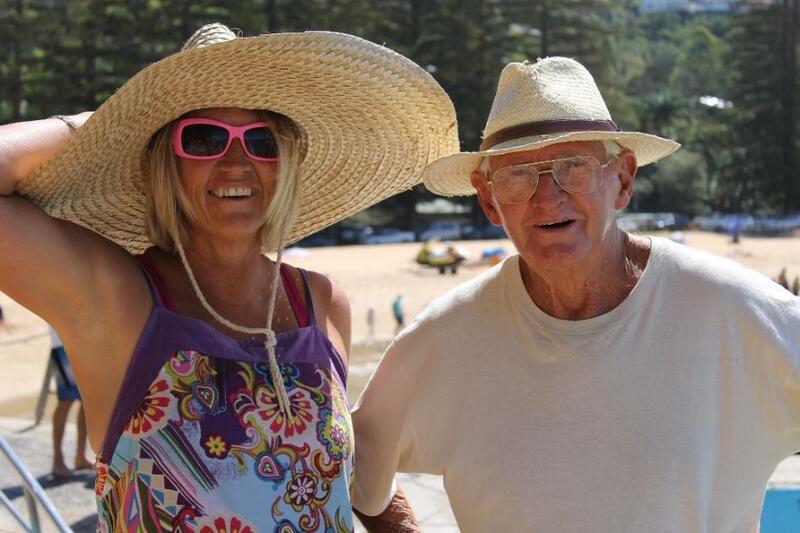 The Palm Beach Rock Pool will be officially named the “Johnny Carter Pool” following a near-unanimous vote by councillors on Tuesday night. Mr Carter is credited with teaching over 10,000 children to swim at the pool - along with water safety, surf skills and stroke technique - over 70 years. He was awarded the Medal of the Order of Australia in 2005. The council must first write to the NSW Geographical Names Board to advise it of the renaming of the pool on Ocean Road. It will also write to Mr Carter to thank him for his “tireless commitment and service to the community” and to let him know about the decision to rename the pool in his honour. A plaque and sign with background to the naming will be placed by the pool, after consultation with local groups. The council will continue investigating the viability of laying synthetic turf on a number of sports fields throughout the Northern Beaches, after receiving a preliminary report into it at Tuesday’s meeting. The majority of councillors voted for council staff to also confirm costings for Careel Bay Playing Fields and Kitchener Park and provide a further report to Council by June 30, 2019. The North Narrabeen AFL field was also considered in the report, but regarded as unsuitable because of high levels of asbestos contamination below the surface. The report found that the asbestos “does not pose any environmental or human health risk as it is encapsulated under the surface, (but) excavating it and disposing it at a licensed landfill would be a significant cost to the project”. A minority of councillors voted against the motion (Sarah Grattan, Roslyn Harrison and Natalie Warren), concerned that the synthetic surfaces, which will last about 10 years, cannot be recycled afterwards. Work towards a new Local Environment Plan (LEP) for the Northern Beaches will begin with a council-wide rather than ward-based assessment, following a motion at the November Northern Beaches Council meeting this week. The work towards the Local Strategic Planning Statement (LSPS) lays the groundwork for the LEP - which will form the legal basis for all development carried out across the Northern Beaches. A ward-based LSPS must give councillors from the ward a reasonable opportunity to contribute to preparation of the document under the Environmental Planning and Assessment Act 1979. Furthermore, Pittwater MP Rob Stokes reassured residents that a ward-based approach to planning would safeguard Pittwater’s natural and built environment under the amalgamated council. Councillor Vince De Luca asked the council's CEO Ray Brownlee if it was true - as he said Councillor Kylie Ferguson had indicated to him - that a ward-based statement could facilitate development in the Pittwater ward. Mr Brownlee agreed that was the case - saying that under a ward-based approach new dwellings for the council area would be split up evenly between the wards. Councillor Rory Amon was keen to speed up preparation of the LEP, and was set to move a motion that the LEP be presented to council no later than August 2020 - before the next council elections. In response, NBC Planning, Place and Community general manager David Kerr said that would result in less time for community consultation - and Councillor Amon let the issue go. All councillors voted to support the council-based plan - except Pittwater's Ian White who was absent. Many residents with placards opposed to the Beaches Link tunnel were present in the gallery for the council meeting on Tuesday night. 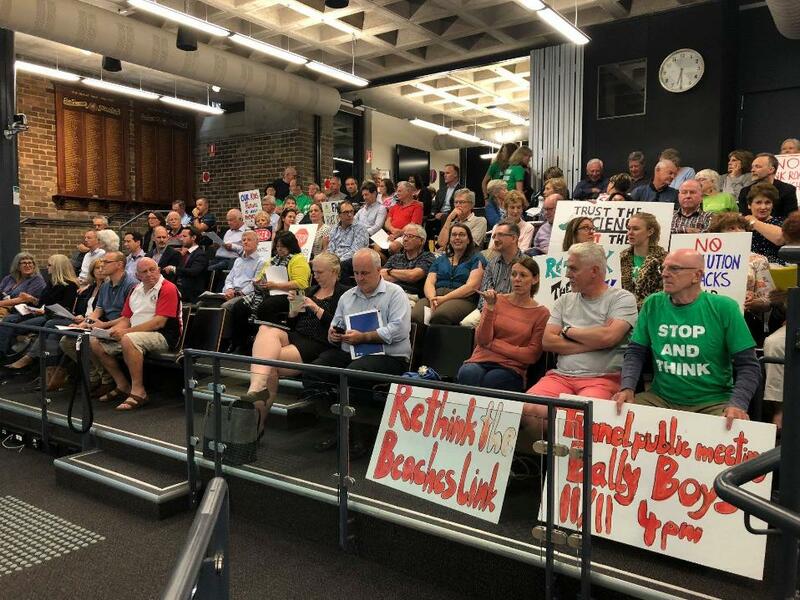 Their concerns include pollution from the unfiltered stacks next to schools and pre-schools, traffic, loss of up to nine parks including Balgowlah Golf course as a construction site for eight years, and loss of livelihoods. A speech during the public forum by market researcher Nerissa Levy and later by Councillor Natalie Warren (who's an actuary) also challenged the statistics cited by staff showing public support for the tunnel - and instead said they showed the public want a public transport-based rather than car-based solution. Council voted to support this motion but subject to conditions that mean some of the public's concerns will be investigated.